I have been a bad, bad, bad blogger. Not only have I not been blogging, I haven't been reading blogs or commenting on blogs. I also did not sew all weekend long. 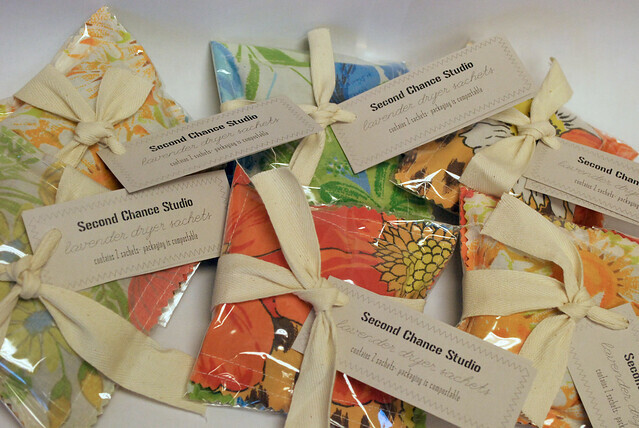 Last Tuesday I did finish up some lavender sachets for the charity shop though. So at least I have a little bit of something to show. I may have to restock some items this week at the charity shop so I made a couple of gadget pouches and coffee cozies last night, but no photos. It looks like the items that I had hoped to put in my Etsy shop will be going to the charity shop instead. Depending on how much sells, I may also pull some stuff of Etsy. We will just have to see. 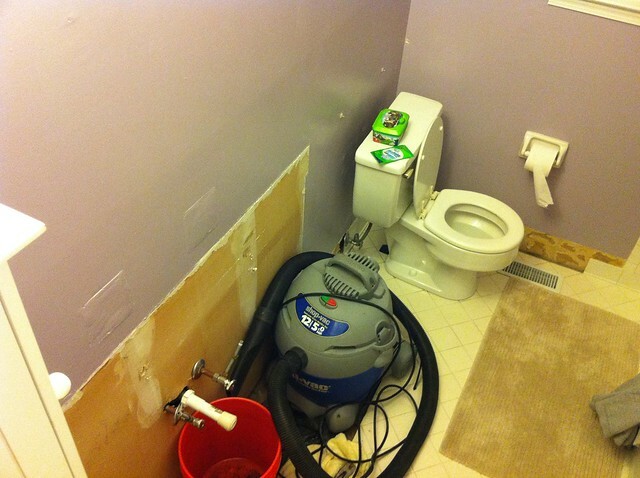 The main reason I did not sew this weekend is because we decided to remodel the kid's bathroom. I use the term we loosely though because Mitch did most of the work. I forgot to take a before photo, but Mitch snapped this one with his iphone. We still have a ways to go, but we have made good progress. Here is what it looks like right now. I haven't forgotten about the messenger bag tutorial. Hopefully I will have that together soon. I also have Christmas presents to make so I need to get busy. Girl, I don't think you know the meaning of taking a break! Remodeling a bathroom and sewing a stack of sachets over the holiday weekend does not count as a "break" in my book. You are uber productive...super mom! 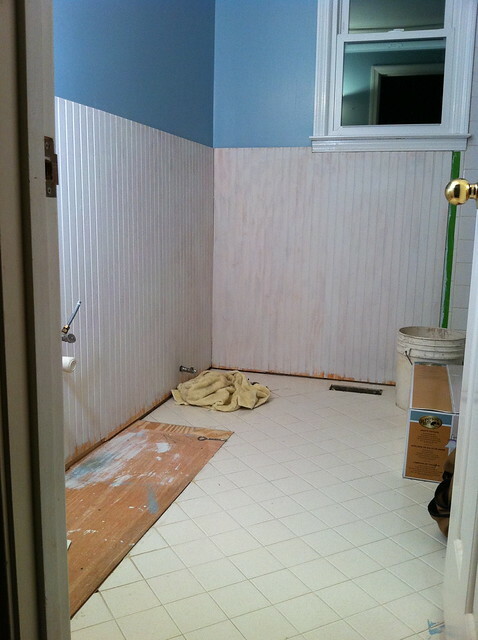 AH-DORE the color of that incredible remodel! I can't wait to see the finished product.